Aidan Grummer and Neil McFadden, two graduate students in the Department of Physics and Astronomy at The University of New Mexico, were among 60 students selected nationally to receive the prestigious Department of Energy Office of Science Graduate Student Research (SCGSR) program award. The award provides support for inbound and outbound travel to a DOE laboratory and a monthly stipend of up to $3,000 for general living expenses while at the host DOE laboratory during the award period. McFadden, who earlier this year won the N.M. Space Grant Scholarship, will be pursuing his Ph.D. this summer at Los Alamos National Lab with his proposal "Light Yield Studies on Active Veto Schemes for a Tonne Scale 76Ge Neutrinoless Double Beta Decay Experiment" that will search for neutrino-less double-beta decay with germanium detectors. The neutrino plays a central role in many puzzles in particle physics and cosmology. Future measurements of its properties in both laboratory and space-based experiments hope to resolve many of these puzzles and possibly point to new physics beyond the standard model. Grummer is recognized for his outstanding academic accomplishments including the merit of his research proposal "Development of New Methods for Quality Control of ATLAS Upgrade Tracker Modules and Staves.” The research reflects his potential to make important contributions to the mission of the DOE Office of Science. Grummer will work with his primary graduate thesis advisor, UNM’s Sally Seidel, and collaborating DOE laboratory scientist, Charles Young at the SLAC National Accelerator Laboratory. The goal of SCGSR is to prepare graduate students for science, technology, engineering or mathematics (STEM) careers critically important to the DOE Office of Science mission, by providing graduate thesis research opportunities at DOE laboratories. The SCGSR research projects are expected to advance the graduate awardee’s overall doctoral thesis while providing access to the expertise, resources and capabilities available at the DOE laboratories and facilities. 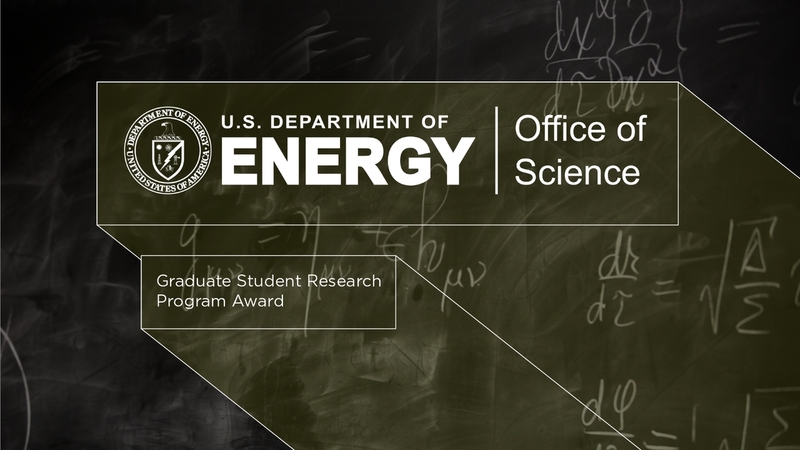 The program provides supplemental awards for graduate students to spend three to 12 consecutive months at a DOE national laboratory facility conducting graduate thesis research in a priority research area in collaboration with a DOE laboratory scientist. For more information on the program and opportunities visit the website.